We were out and about on Saturday when we saw that John Waltrip had sent us an email and we didn’t get to check it until much (much) later. Imagine how pleased we were to see this in our inbox! 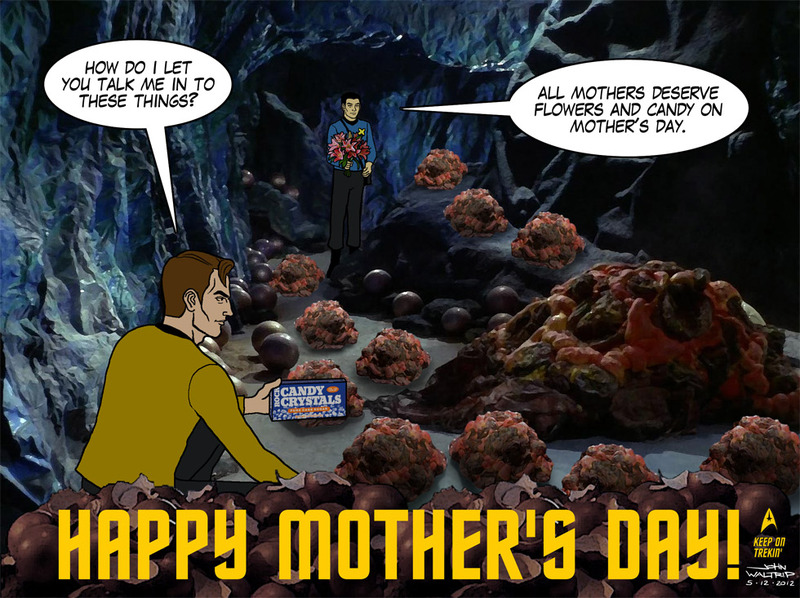 So, pilule if you’re a mother, cialis be glad you don’t have to raise thousands of silicon spheres to adulthood and if you’re a child (and we all are, really,) be glad that you weren’t raised in the dark caverns of Janus IV. Thanks, John, and thanks everyone who reads Boldly Gone.